TL; DR: Seeking to challenge traditional vendors with a more affordable enterprise-class relational database, EnterpriseDB integrates performance, security, and management tools into the open-source Postgres platform. The robust database system helps customers create new applications, modernize existing tools, and migrate to the cloud for a fraction of the price. Quick to introduce compatibility with more expensive and cumbersome Oracle databases, EnterpriseDB provides a cost-effective and powerful database solution for more than 3,500 enterprise and government customers, including 88 of the Fortune 500. With more than 26 billion connected devices expected by 2020, Ericsson needed to re-architect its Content Management System­™. The product, which helps the television and entertainment industry create, deliver, and distribute media across multiple platforms, wasn’t keeping pace with the increased demands. The company replaced its legacy database system with a solution from EnterpriseDB, which commercially expands and supports the open-source Postgres database. With EnterpriseDB, Ericsson’s ingestion rate more than doubled. The new system supports 11 million titles, 3 million work orders, and several more of both still to come. With EnterpriseDB tooling, Postgres databases boost scalability, increase performance, and reduce operational costs, according to Senior Vice President of Product Development and Services Marc Linster. Appealing to more than 3,500 enterprise and governmental customers, the data platform helps customers cost-effectively develop new products, modernize current practices, and migrate to the cloud. Ed Boyajian, President and CEO, spent six years at giant Red Hat and has more than 15 years in the commercial open-source industry. Robert Haas, Vice President and Chief Database Architect, has been a major contributor to Postgres since 2008. Dave Page, Vice President and Chief Architect of Tools and Installers, is one of six members of the Postgres Core Team and has worked with Postgres since 1998. Bruce Momjian, Senior Database Architect, co-founded the PostgreSQL Global Development Group in 1996 and wrote a book on PostgreSQL four years later. The 13-year-old company maintains offices in 16 countries, including a lab in India that focuses solely on boosting Postgres performance and scalability to meet customer needs. Although Postgres is already “a very large workhorse,” as Marc called the database, EnterpriseDB invests heavily in making it better by creating tools that enable enterprises to deploy the data platform in business-critical infrastructures. In addition to overall performance and scalability improvements, the EnterpriseDB Postgres Platform ensures availability with a failover manager, backup and recovery tool, replication system, and migration toolkit. Late in 2016, Postgres introduced parallel query functionality, which utilizes all CPU cores to make an individual database query and generates processing of speeds two to four times faster. 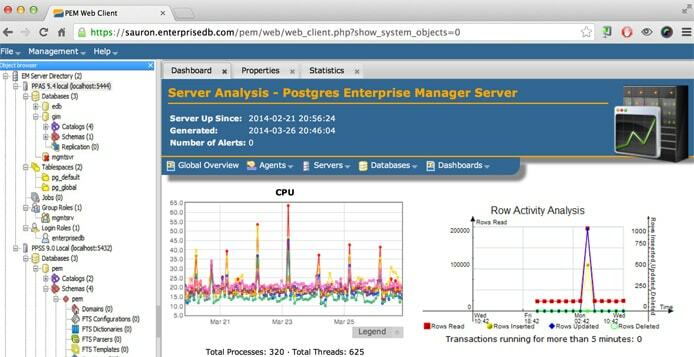 Postgres Enterprise Manager performs monitoring and alerting services for EnterpriseDB customers. According to the company, customers spend, on average, 42% less on operations and see a return on investment of more than 160% after three years. EnterpriseDB subscription levels have grown for 27 consecutive quarters. 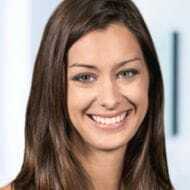 EnterpriseDB initially placed a lot of emphasis on replacing costly Oracle databases, but Marc said the company found a larger, more general interest in using open-source databases. Naturally, the bottom line is among the first factors most enterprises consider and one of the primary forces behind the decision to switch to a commercialized open-source product. “It’s a very attractive step, and a lot of customers work with us because they want to take that step,” Marc said. The “really exciting step,” according to Marc, is the much more liberal and affordable licensing policies found with products based on open-source technologies; EnterpriseDB customers can deploy the Postgres database platform on any hosting configuration or cloud service. Between the money saved and the added features included natively in Postgres, EnterpriseDB customers can start tackling multi-model databases and applications that support multiple resources in a single backend system. The traditional world of databases calls for housing and analyzing many terabytes of data. Recently, the DevOps movement has introduced requirements for more agility, Marc said. “They’re looking now at taking these big innovations and chopping them up into multiple smaller things,” he said, speaking of the company’s push for microservices and containers. Marc also likened the microservices-inspired push for business agility products to a Database-as-a-Service that enables developers to create databases in minutes instead of weeks.